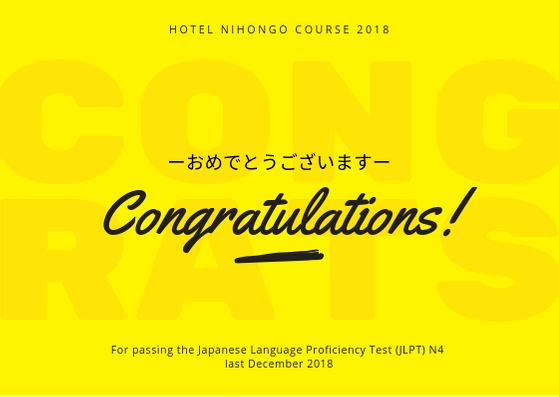 NCF extends its congratulations to the students who were part of the school’s Hotel Nihongo Course last July to November 2018. 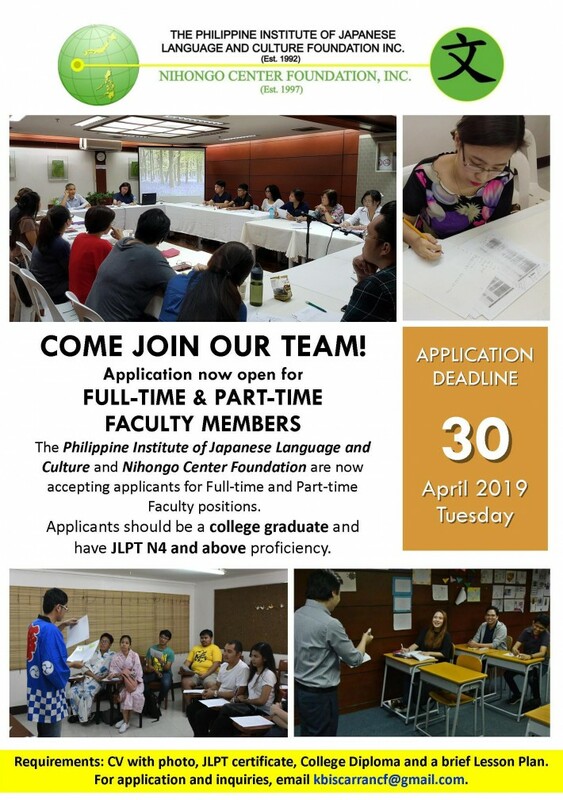 The special pre-departure language training program consisted of 600 hours of classroom instruction headed by NCF Academic Adviser, Kenjiro Ogata-sensei. The training course was a partnership with Ken Corporation in Japan. 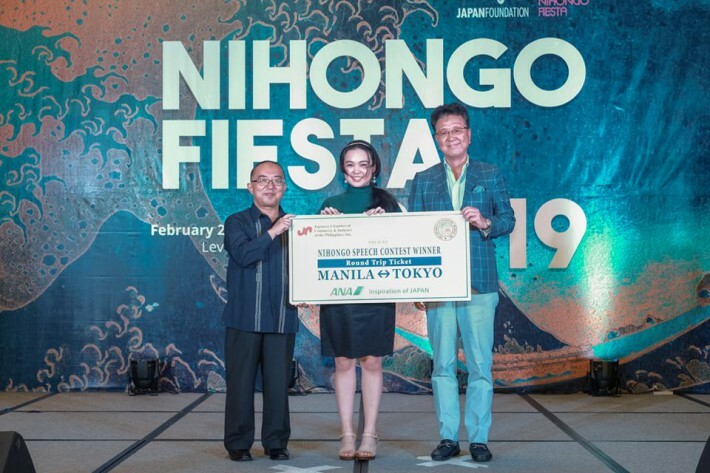 PIJLC and NCF extend their congratulations to Ms. Zoe Agatha M. Serrano for emerging as the Grand Prize Winner in the 2019 Nihongo Speech Contest held last February 28 at Shangrila Plaza Mall, Mandaluyong City. Ms. Serrano’s speech “私がダイエットから学んだこと” (What I Learned from Dieting) bested other participants in the Open Division of the annual speech contest hosted by Japan Foundation Manila. Other divisions included Student, Non-student, and Special Jury Award. Ms. Serrano was a former student at PIJLC and took the school’s N1 review class for 6 months under Kenjiro Ogata-sensei. She was also last year’s Grand Prize Winner of the 8th Kake Speech Contest. 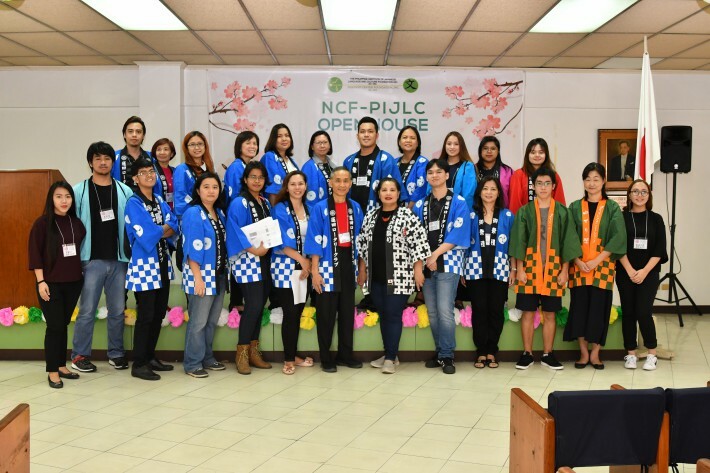 The Nihongo Speech Contest is part of the annual Nihongo Fiesta event spearheaded by Japan Foundation Manila. Grand Prize winners receive an all-expenses-paid, week-long study tour in Japan, while all other qualified contestants receive consolation prizes. Starting January 2019, all ongoing and upcoming classes will be held at Electra House Building. Please be informed that starting December 17, 2018 (Monday) the PJFF and NCF Admin office will be at the Electra House Building. Address: 6th Floor Electra House Building, 115-117 Esteban street corner Rufino Street, Legaspi Village, Makati City. 1.) Please open link below for map directions on how to go to Electra house building. 2.) Click DIRECTIONS to find ways on how to locate Electra House building from your point of origin. 3.) 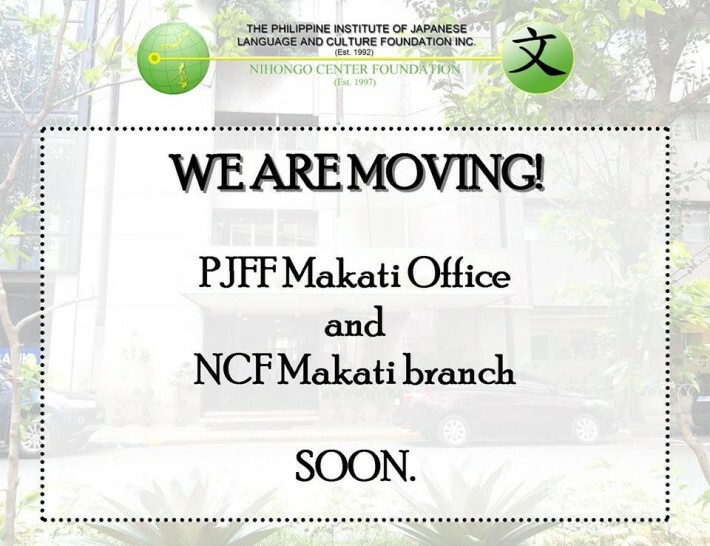 Select your most preferred mode of transportation and you should be able to find the new PJFF and NCF Makati branch location. We are excited to show better facilities to our students!